It's kind of hard to believe, but Jawbone—a company that was built on Bluetooth—didn't have a wireless radio in the first two iterations of its fitness tracker, the Jawbone UP. 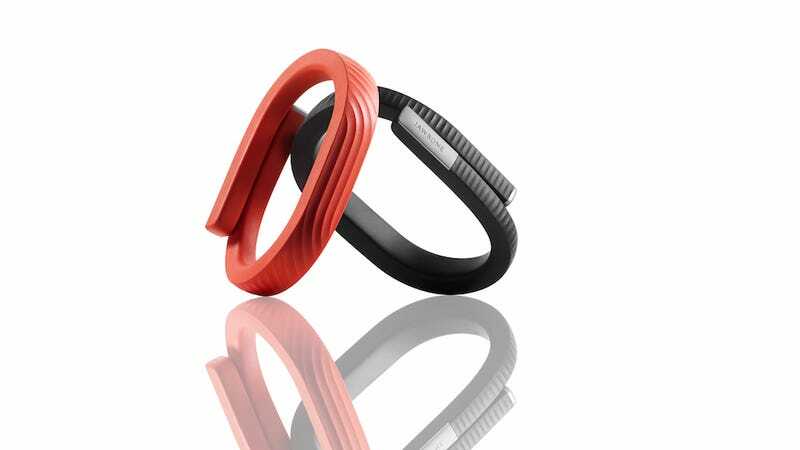 That finally changes today with the introduction of the Jawbone UP24. Physically, the UP24 is essentially identical to the last version of the UP. It's the same, wrap-around band. But now it has Bluetooth 4.0, so the UP24 will finally send real-time updates to your iPhone (and "soon" to Android phones), meaning you can get more detailed info about what you've been up to while you're up to it. That a good thing, but it can hardly even be considered a catch-up move at this point. There's still no display (or any other way to see your progress on the band itself), and there's still no altimeter. It's also twenty bucks more than that last UP, and it only gets seven days on a charge, as opposed to ten. Frankly, why you would spend $150 of this, instead of $130 on the far more capable Fitbit Force, we have no idea. There's a new 3.0 version of the UP app which will add a micro-goal setting program called "Today I will..." as in, "All week I've done nothing but eat potato chips and cry in my bathtub full of gravy, but today I will stand up and sit down at least three times!" Or something like that. Small, manageable goals is the idea. It can also estimate your sleep if you forget to switch it into sleep mode (which is handy), and it will applaud you for streaks and hitting milestones. The UP 3.0 app will be rolling out for iOS this week and will work with both the UP24 and last year's UP, but of course live updates will only happen with the UP24. The new app will be coming to Android "soon," but you should probably expect it to take a little while to get the Bluetooth thing in working order.